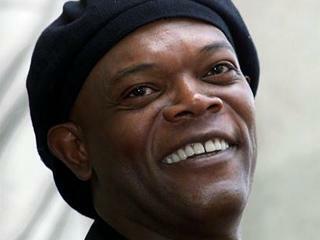 *The Samuel L. Jackson film “The Samaritan” is racking up international sales going into Cannes, with Germany’s ARD Degeto and Canada’s Entertainment One among the pre-buyers, according to the Hollywood Reporter. H2O Motion Pictures World Sales on Thursday unveiled other sales of the film to Greece’s Audio Visual, Nordisk in Scandinavia, Switzerland’s Elite and Front Row for the Middle East. “The Samaritan,” which wrapped production last week, also stars Tom Wilkinson, Luke Kirby and Ruth Negga, and is produced by Andras Hamori, Tony Wosk and Suzanne Cheriton. International sales are being handled by Mark Horowitz for H2O Motion Pictures World Sales, who will be shopping a teaser trailer and select scenes in Cannes. Next ArticleL.A. Reid Meaner than Simon Cowell on ‘X Factor’?